NB Nikolajeva discusses a number of texts that make use of cats, including: Philip Pullman’s His Dark Materials trilogy (1995–2000), Alice’s Adventures in Wonderland, Through the Looking-Glass, Coraline, The Lion, the Witch, and the Wardrobe, etc. The analyses she offers are thought-provoking. “I am in two minds about Rowling’s creation,” Kornberger writes, “particularly as literature for young children. I think the books and films are often encountered too [-p.143] early. Harry Potter is great fantasy, but a certain foundation of soul needs to be established before a child enters the gothic labyrinth of Hogwarts. 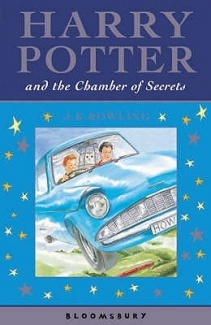 The Potter books are based on the mystery novel and the emotional suspense created by this genre. In most mystery novels we do not know who the murderer is until the very end. In the Harry Potter books, the murder is yet to come. Though we know it is the Dark Lord who is attempting to kill Harry, we do not know under which mask he is hiding. This makes the books even more harrowing for the soul than conventional mysteries. The dark forces in the Harry Potter series are hidden and unscrupulous, and ever more brilliant as the books progress. The portrayal of evil echoes the racial ethos of the Nazi regime and procedures of black magic. All this may be exciting and highly stimulating reading for the imagination-deprived teenager, but it is not appropriate for younger readers, who need to know who is good and who is bad so they can morally orientate themselves in a story. In fairytales, evil and cruelty are dealt with imaginatively. The wolf that devours Red Riding Hood spills no blood and the child is soon revived. But the killing in Harry Potter is real and irreversible. The blood that is spilled is ‘real’ blood that will leave a mark on a young child’s soul. The cruelty of a sinister figure like Voldemort is too convincing to be digested before a child is equipped to face him. Too young, they may fall prey to his schemes – and as the book tells you, he is eager to kill then as young as he can. I recommend you to the advice of the world expert in all matters concerning Harry Potter and the care of the magical and endangered child: Albertus Dumbledore, Director of Hogwarts School of Magic. The wise Professor protected Harry from all contact with the shady and dangerous world of magic until he had reached the age of eleven. I take this as the story’s own explicit advice for its appropriate use: children should reach this age before being admitted to the school of sorcery. I have said I am in two minds about Harry Potter. While I am concerned about its premature use, it nevertheless provides a good dose of fantasy for teenage consumption. It also speaks directly to contemporary myth – its popularity shows that the stories answer a dire need in our culture: the story deprivation of contemporary childhood. Children recognise themselves in Harry. Like the modern child he starts off deprived of imagination and magic, denied his birthright to be an adventurer in any realm other than this world. Like the modern [-p.144] child he is endowed with imaginal gifts and has been brought up by parents who are ‘muggles’ – totally unmagical folk. Most parents are ‘Dursleys,’ not only lacking imagination, they suppress it with any means at their disposal. The imaginal part in every modern child is as maltreated by parents and education as Harry Potter is by the Dursleys, while the child’s conventional and unmagical part is as spoiled as his stepbrother Dudley – who is the very kind of insensitive and competitive bully our world seems to reward while the Harrys are locked in closets and punished for who they are. “Harry Potter is fantasy with mythological elements. The Chronicles of Narnia are much stronger myth, a product of exact imagination, revealing realities beyond the apparently real. The Narnia stories meet the soul on its own home ground. They speak the imaginative language of the heart and carry the power of transformation that only this language can provide. Again, I’m not yet sure what I think of these last comments, but I do find them interesting. Donna Heiland (2004) Gothic and Gender: An Introduction. 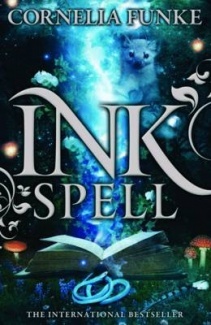 Malden, MA; Osford, UK; Carlton, Victoria, Australia: Blackwell Publishing. “There is a Gothic architecture of books, both as objects of and within children’s literature: books filled with secrets and potentially dangerous passages, the narratives as labyrinthine as any castle interior or ruins, the dust jackets as intimidating as any fortress walls. Entering such a book is, potentially, as perilous to the reader as to the characters within the story. These are children’s books of a Gothic persuasion; they include ever-more peculiar books that are magic or that have magical potential, that are devious and complex. The books comprise a fascinating Gothic library marketed to children, through which their fictional counterparts conspire and scheme to counter the intertext of Gothic ruins and enigmas which hem them in and threaten them with intertextuality itself. Deidre Lynch notes the Gothic tradition’s literary impulse, arguing that early Gothic authors ‘are remarkable […] for the density of their intertextual allusions’ (2001: 31). In making these allusions, authors create characters who are, as Lunch indicates, ‘surrounded by books, ink and paper’ (29). 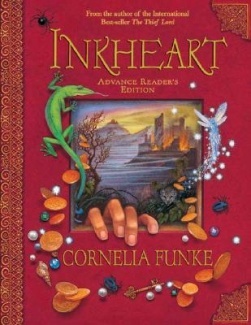 In regard to children’s books, material [-p.210] rather allusive intertextuality – the book, ink, and paper – becomes the Gothic manifestation. Hmmm! 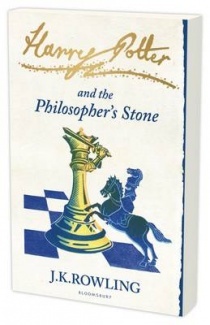 I really like Do Rozario’s argument here.She draws on JK Rowling’s Harry Potter and the Chamber of Secrets, Cornelia Funke’s Inkheart trilogy and Jonathon Stroud’s Bartimaeus Trilogy in particular, with reference to Jostein Gaarder’s Sophie’s World, Susanna Clarke’s Jonathan Strange and Mr Norrell, William Goldman’s The Princess Bride, and Marcus Sedgwick’s The Book of Dead Days and The Dark Flight Down. Her interest is in the presence of books within these books – and textual fragments that hint at other tales – alongside characters that become aware of their literary nature, eliding the distinction between reader and text. The possibility of entering and exiting texts (and one’s textuality), of being menaced by books (think JK Rowling), etc. is seen as a Gothicisation of text itself in children’s literature…. The supernatural and the literary become one and the same. More than that, Do Rozario also highlights the gothicisation of traditional literature and of literariness in these texts. In a digital age of information networks, bound paper books are being represented as (or have come to represent) the Gothic and the supernatural; the books in these texts have heavy bindings, intricate lettering, elaborate engravings, etc. and their very ‘bookishness’ serves to reveal their Gothic and supernatural nature. I like the argument! For example, Do Rozario observes: “The act of writing itself may release dangerous secrets. J.K. Rowlking’s Harry Potter series creates a Gothic parallel to our own ‘Muggle’ world, one in which books can scream, snap, become invisible, put spells upon the reader, or simply yield perfectly horrendous curses. The magic of Rowling’s wizarding world infuses its books, creating, across the series, an imagined library of fantastical books to serve the supernatural. The series, however, likewise raises the more personal, ordinary, spontaneous, and contemporaneous kinds of books to Gothic status. 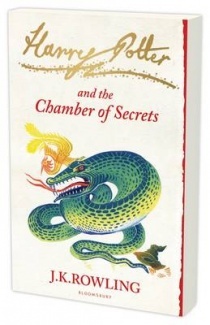 The diary, [-p.215] for example, becomes a central text in Harry Potter and the Chamber of Secrets (1998). The diary is an everyday repository of deeply personal secrets, but when the ink of those secrets becomes absorbed into the paper of T.M. Riddle’s diary, the secrets themselves feed a fragment of soul hidden between the covers. The diary is quite ordinary, purchased rather prosaically from a news agency on Vauxhall Road. Riddle, whom Harry, Ron and Hermione discover is the real name of Lord Voldemort, concealing his origins in an act of anagram, had left an imprint of his schoolboy soul within the diary, one that could only be manifested through the ink invested by a new diarist, in this case Ginny Weasley ‘I grew stronger and stronger on a diet of her deepest fears, her darkest secrets’ (Rowling 1998: 228).